With Intel finally facing a challenge from AMD in the high-end processor market, the discovery of a major Hyper-Threading flaw in both Kaby Lake and Skylake CPUs would be a most unwelcome problem for Chipzilla. Unfortunately, that’s the scenario it’s now facing. The issue, which can destabilize chips and lead to unpredictable system behavior, data corruption, and data loss, was described on the Debian mailing list following earlier work by OCaml toolchain developers. It affects Skylake and Kaby Lake Intel Core processors (in desktop, high-end desktop, embedded and mobile platforms), Xeon v5 and v6 server processors, and some Pentium models. And while Debian is a Linux distro, the problem can appear on any operating system. This is how Intel’s errata documentation describes the flaw. Under complex micro-architectural conditions, short loops of less than 64 instructions that use AH, BH, CH or DH registers as well as their corresponding wider register (eg RAX, EAX or AX for AH) may cause unpredictable system behavior. This can only happen when both logical processors on the same physical processor are active. It's worth noting that the exact replication conditions, which aren't clear, are unlikely to be encountered by most users, but debian.org still recommends disabling hyper-threading until a microcode update is applied. Intel has reportedly issued some fixes, but they need to be integrated into motherboard BIOS/UEFI updates. The Debian notes says that “You want your system vendor to provide a BIOS/UEFI update that fixes Intel processor errata KBL095, KBW095 or the similar one for my Kaby Lake processor.” It recommends Skylake users contact their system vendor for an update that fixes "Intel erratum SKW144, SKL150, SKX150, SKZ7, or the similar one for my Skylake processor". 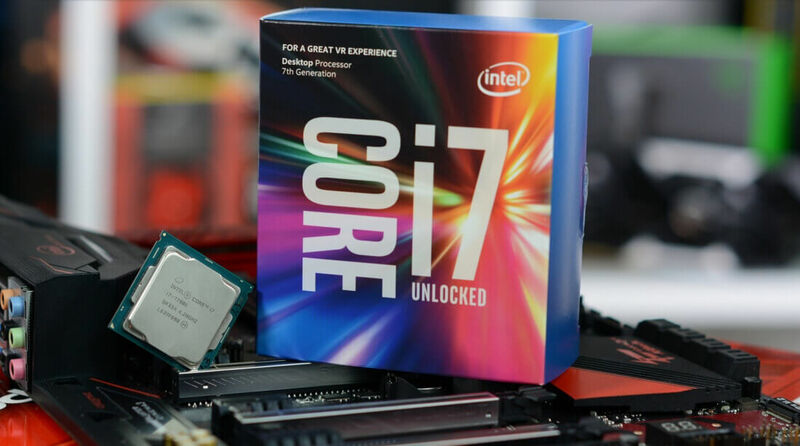 Back in May, Intel responded to i7-7700K high-temperature issues by telling owners they shouldn’t overclock the chips. It’s a problem TechSpot's features editor Steve Walton touched on this in a video for Hardware Unboxed back in February.